The weather is getting more and more miserable by the day as we enter winter and if you're like me you are wearing a lot of black because it's easy and comfortable. Sometimes a bump in mood is as easy as throwing a pop of colour into your outfit. 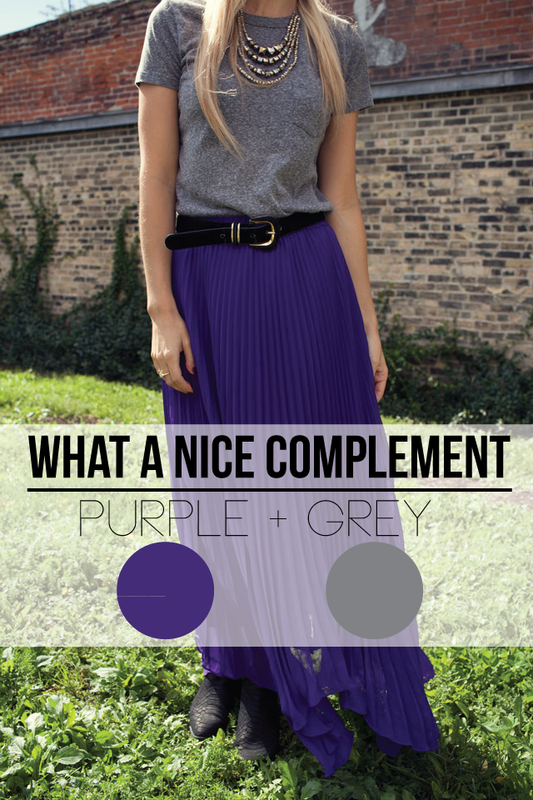 To compromise wear grey with purple this season. I like this look because you can stick to your neutral colours, but look for that one element to add a bit of fun to your look. In the look I created below I added a slouchy, relaxed grey sweater to wear over a purple leather skirt with casual details to finish it off. um hi i need that grey sweatshirt! xO!